Fiery Chrysanthemum Ltd. is engaged in the performance of blasting operations, special blasting, pyrotechnic special effects for film production, stage pyrotechnics. We are the first private licensed company in Bulgaria for the design and implementation of illuminating of professional fireworks shows. The company was founded in 1993 in the town of Panagyurishte and is the first private company with a regularly certified state license in Bulgaria. The main activities are pyrotechnic effects – festive illuminations / beams /, fireworks entertainment for concerts, shows and parties, stage pyrotechnics for indoor events, special pyrotechnics for commercials and music videos, movies and television, design and execution of blasting and special blasting in hard conditions in settlements and industrial sites. Ognena Hrizantema offers depending on the time / daytime or evening time / place of celebration and / indoor or outdoor / combinations of different effects of high and low pyrotechnics, which will enjoy the greatest possible number of viewers. We have a team of over thirty qualified explosives specialists, and designers of blasting. Over the years we gained extensive experience in organizing the show performances with fireworks in densely populated urban areas, in the presence of a large audience. 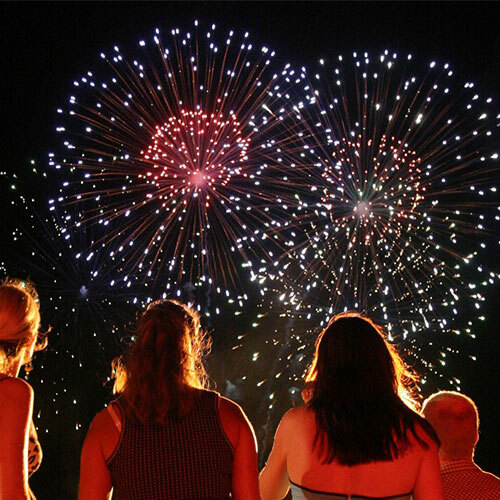 To facilitate our clients we offer package rates that include versatile programs used in a variety of fireworks. The show can be achieved with items selected by the customer. The company works with highpyroproducts own importsof the most reputable manufacturers of professional articles: Kabaler – Spain Zilberhyute, Sachsen-fireworks, Pyro-Art – Germany Sun-Song, Black Cat, Flower Basket – China Tayvansan, Luna Tech – USA . We have an arsenal of more than 5000 mortar launchers of various types and combinations of spherical and cylindrical shells star / fireworks / with gauges from 50 to 400 mm. Considering the presence of numerous and diverse audiences, we pay attention to the safety of spectators and architectural space. 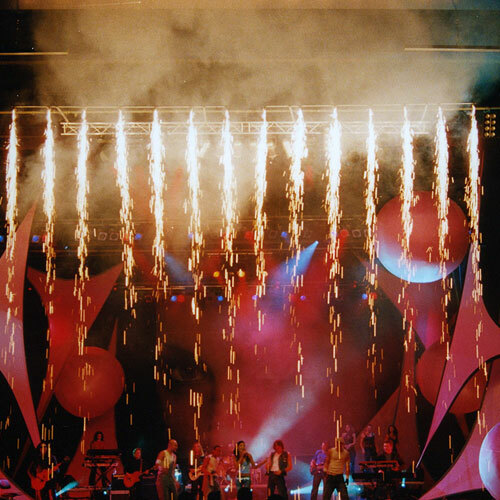 Fiery Chrysanthemum Ltd. is engaged in the performance of blasting operations, special blasting, pyrotechnic special effects for film production, stage pyrotechnics, decorated with balloons.